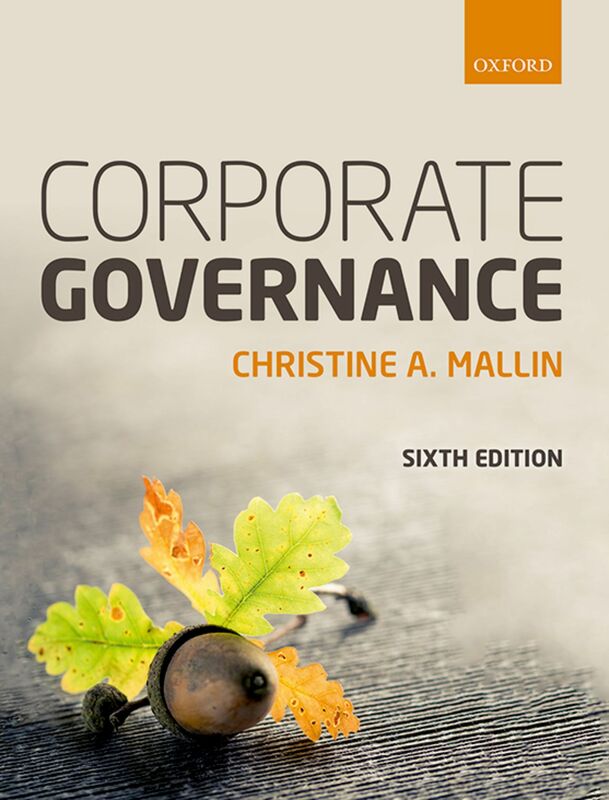 It has been a while since I contributed to OUP’s corporate governance blog, which I share with Professor Chris Mallin. So I thought that, rather than focusing on a single theme, I would comment on issues that are currently concerning directors and their professional advisers around the world. In particular I will address shareholder communication, shareholder engagement, executive compensation, cyber security, and the challenges of cronyism and corruption. Listed companies need to communicate with their shareholders. Market analysts, potential investors, regulators, and others in the market also need ongoing knowledge about the company. Formal requirements for such information are found in company law and stock exchange rules. But companies need to go beyond these regulatory, financially-orientated demands. In the original model of the joint-stock, limited-liability company shareholders were individuals, their numbers small, and their needs for information tended to be similar. Directors could communicate quite easily with them; indeed in many cases they knew them personally. But that was 150 years ago! Today, shareholders are no longer homogeneous. The shareholders of a listed company could include institutional investors actively involved in the company’s corporate governance issues, passive institutional investors, such as index-tracking funds with little interest in corporate information, dominant investors, perhaps the company’s founders or their family trusts, hedge funds, private equity investors, state owned corporations, sovereign funds, and of course retail shareholders – individuals, usually with relatively small holdings. Clearly, the expectations of such investors, their levels of business sophistication, and their need for information differ. However, company law and stock exchange rules seldom recognize such differences. Moreover, some listed companies may not be sure who some of their shareholders actually are. In the old days, details of a new investor were duly recorded in the share register and a hand-written share certificate provided. But in today’s scripless system, holdings are recorded centrally and may be deposited with brokers. So the shares may be held in the name of the broker or custodian participant, with the actual investor not registered as the shareholder. Ownership information can also get buried in the string of intermediaries. So what information should a company provide? an account of the company’s key relationships with its employees, customers and suppliers and others that have a significant impact on the company and on which the company’s success depends. In the United States and the UK, calls are also continuing for more information on companies’ environmental, social, and governance policies and performance (frequently referred to as ‘ESG issues’). However, the decision on exactly what information to provide and in what detail is challenging. Too little and commentators might register disapproval; too much and the company’s competitive position could be eroded or ongoing negotiations, for example over an acquisition, could be jeopardized. The danger is that, in meeting the regulatory and other expectations, companies’ statements contain more public relations commentary than hard fact. The Hong Kong Institute of Chartered Secretaries (HKICS) is currently undertaking a survey (in which I am involved) exploring shareholder communications in companies listed on the Hong Kong Stock Exchange. The results are due to be published later this year, and will be linked to this blog in due course. But there is an inevitable dilemma in discretionary communication. One-on-one communication is fraught with difficulty. To protect the integrity of their market, stock exchanges require information which might affect share prices to be given to the entire investment community at the same time. So, can meaningful information be given to one, or a few, shareholders without giving them undue advantage by disclosing price-sensitive information? Companies need policies on the conduct of meetings with analysts and how to respond to questions about future earnings, if necessary correcting forecasts they might have made about the company and its prospects. Companies could consider publishing their formal disclosure policy, which needs to be in line with their overall corporate governance strategy. Few institutional investors in the United States involved themselves directly in the governance of companies in which they invested prior to the failure of Enron, Waste Management and others in the early 2000s, and the collapse of Lehman Brothers and the bailout of financial institutions a few years later. Subsequently many felt the needed to be more committed. Many commentators also urged them to do so. initiating a dialogue with the company. the composition and diversity of the board. Recent surveys by IRRC, the Investor Responsibility Research Center in the United States (2011, revised 2014) reported that the level of engagement between investors and publicly-traded U.S. corporations had reached an ‘all time high.’ By ‘engagement’, the IRRC survey meant ‘direct communication between the corporation and investors on specific topics’. Companies, it seemed, tended to view shareholder engagement as a series of discrete conversations. Investors, on the other hand, saw it as an ongoing process whose success depended on subsequent concrete action by the company. Companies said they were devoting more resources to shareholder engagement, often through an executive team, with investment relations officers and representatives of the CFO and the Corporate Secretary. In some cases, directors were personally involved, including the board chairman, the senior outside (non-executive) director, and the chairmen of the board’s audit or compensation committees. The IRRC report concluded that ‘evidence suggests that overall engagement levels will continue to trend upward, as investors seek to better understand, and mitigate risks at companies they intend to hold for the long term, while issuers seek to win support for company proposals, ward off activists, and keep shareholders happily invested in the stock. A recent development (press reports March 2016) has been major institutional investors, such as Blackrock, Fidelity, and Schroders forming an Investment Association to engage with companies, challenging poor performance, excessive pay deals, or calling for information on longer-term corporate strategies rather than emphasizing quarterly results. This potential of ‘collective engagement’ increases the power of large shareholders to hold companies to account. The pioneers of shareholder engagement were radical groups and religious organizations who used their shareholder votes to encourage change in corporate policies such as trading in weapons, tobacco, or alcohol. The movement to encourage corporate social responsibility followed, seeking to align business practices with desirable societal expectations in the interest of all stakeholders affected by the business activities. Some writers argue that the more a company engages with its stakeholders, the more socially responsible it must be and the better its chances of long-term sustainability and improved shareholder value. However, research on the topic has challenged that notion. More reporting does not necessarily lead to better relationships. Many other factors influence interactions between companies and their investors. Alleged excessive director level rewards remain one of the most contentious issues in corporate governance. Shareholder demands for a ‘say- on-pay’ have increased, although such intervention continues to be exhortatory rather than binding on companies. A growing disparity between the wealth and rewards of the few at the top of society and the rest has swung the focus onto executive compensation. The subject also provides a flash point for activists challenging the role of capitalism society. The traditional solution of the board-level remuneration committee, made up of independent, outside, non-executive directors, does not seem as effective as it was when the late Sir Adrian Cadbury included the idea in the first corporate governance code (1992). For one thing, those outside directors may well be executives from other companies, with their own interests in setting high remuneration levels. For another, industry norms for total remuneration seem to have been rising, thus setting bench-marks for levels needed to attract and hold the best people. Professional firms offering pay level advice tend to reinforce high levels industry-wide. But new approaches have been appearing. The relationship between reward and performance has come under the spotlight, particularly where the reward seems to be unrelated (or worse inversely related) to performance. Some companies have adopted ‘claw-back’ terms that penalize top earners if they fail to meet set performance goals in the longer term. In Canada, institutional investors have called for the idea to become governance best practice. Other companies have used peer reviews of reward systems in their business sector. Remuneration decisions should not be made piecemeal. Boards need to establish the underlying basis of their remuneration policy. Moreover, that policy needs to be disclosed to shareholders and other interested parties. Whilst maintaining an appropriate level of individual privacy, decisions on top level remuneration benefit from transparency. It is now widely recognized that strategies for identifying corporate vulnerabilities and managing risk are part of the corporate governance responsibility of every board. Although some boards could usefully spend more time assessing the potential of strategic risks faced throughout their group. (BP’s Deepwater Horizon oil rig disaster and the Fukushima Daiichi power station disaster for Tokyo Electric Power come to mind). An interesting idea adopted by a few boards is the creation of ‘play-books,’ which develop scenarios of possible strategic risks and chart the company’s planned response should they arise. destruction of company correspondence files. No doubt a thoughtful board will identify other possibilities, not least the risk of providing the board papers online. To ensure that they fulfil their fiduciary duty, boards need to ensure that their risk management strategy fully covers the risk of cyber attack and IT systems breakdown. Supporting policies covering, for example, stand-by facilities, back-up data storage, and recovery systems need to in place, tested, and regularly reviewed. In an ever-interconnected business world, dependent on the internet and modern telecommunication, the threat of significant loss to profits, markets, or indeed to survival is real. Cyber governance is an increasingly significant part of a board’s corporate governance portfolio. It needs to have the right tools in its corporate governance tool kit. Most major companies operate through subsidiary and associate companies, with supply chains, business operations, and marketing systems around the world. For the board of the holding company in, say, New York or London that can present a significant challenge. Of course, boards expect those around the world who report to them to stay within the laws and regulations of their respective countries. But cultures and business traditions differ. The way business is done and the expectations of key players may be significantly different from Western norms. Government contracts may traditionally be awarded only after the decision makers are rewarded. Cronies may get preferential treatment. Buyers or sellers may expect bribes or look for reciprocal rewards. Corruption remains a basis of business in some places, as can be seen in recent corruption scandals in Brazil and Malaysia. China, India, and Nigeria also suffer from endemic bribery and corruption, although their respective leaders are making significant efforts to root it out. A recent study by UK law firm Eversheds (Times, 9 May 2016) found that almost two thirds of UK directors believed that their anti-corruption policies did not work, and recognized that this was an important issue for their company. The moral compass of companies is set at the top. Establishing and maintaining the corporate culture is an essential part of the governance of every corporation. That means more than just publishing codes of business ethics and corporate procedures. It is reflected in the decisions the main board itself makes. For example, what is the board’s attitude towards aggressive tax avoidance and the movement of group funds through tax havens? An important corporate governance duty of every director is to ensure that the company sets appropriate standards of business behaviour and confirms that they are followed everywhere that the company does business. The chairman of the board has a vital leadership role.